Among the anniversaries of 2015, the end of the Napoleonic Wars stands out. The Battle of Waterloo in June 1815 ended almost a quarter of a century of warfare. On a smaller scale, it opened the delights of the Continent to a new generation of British travellers. 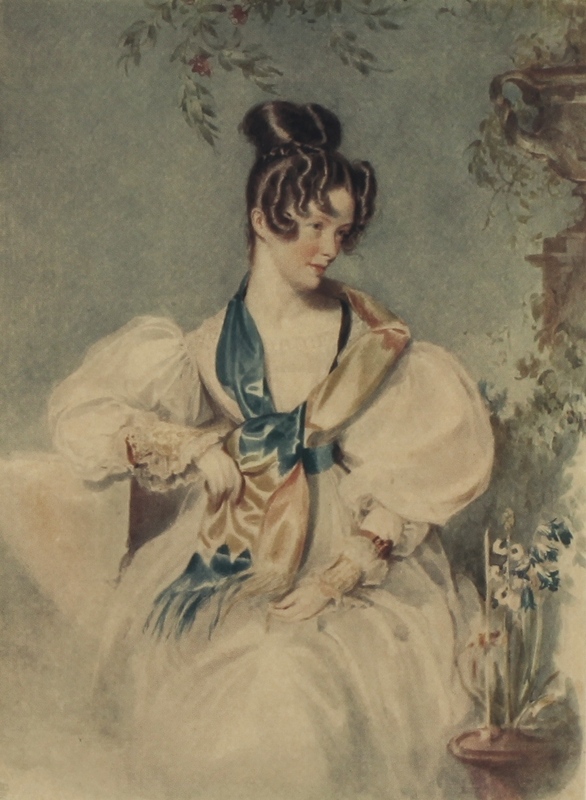 Clarissa Trant in 1829, by David Maclise. Frontispiece to C.G. Luard (ed. 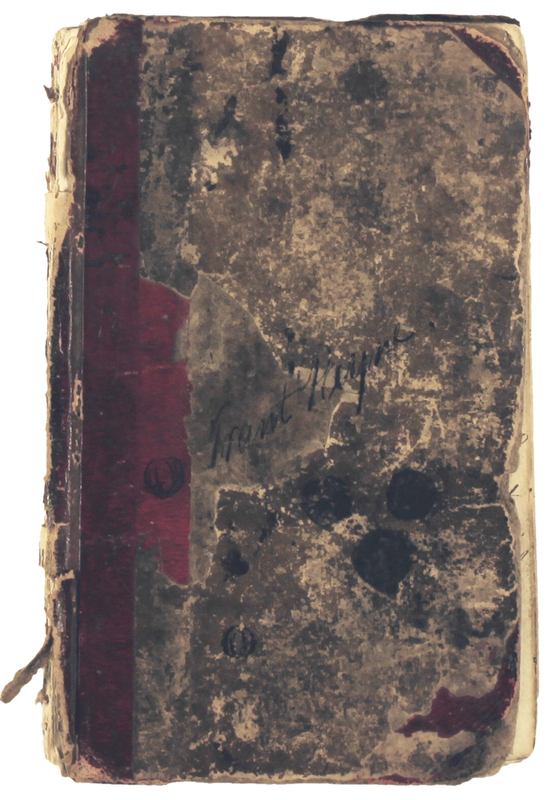 ), The journal of Clarissa Trant 1800-1832 (London 1924), which is available in the ERO Library. In fact, the lightning had merely burned a hole in the mainsail and knocked some of the crew off their feet. The Trants sailed on – only to be approached on the 27th by what seemed to be a pirate ship from Algiers. Clarissa and her governess were hastily squeezed into a secret compartment meant for smuggling contraband. The ‘pirates’ turned out to be ‘a few dirty harmless fishermen’, and on the 29th the Trants safely reached Marseilles. As they entered the harbour, Clarissa ‘felt almost as if I was coming into a new world’. It was at Marseilles that she heard the news of Napoleon’s escape. After further adventures, Clarissa eventually married the Revd John Bramston, vicar of Great Baddow, but she was not to reach old age, dying at Witham in 1844. Her diary descended through her daughter Clara to the Luard family before being deposited in the ERO in 1970. 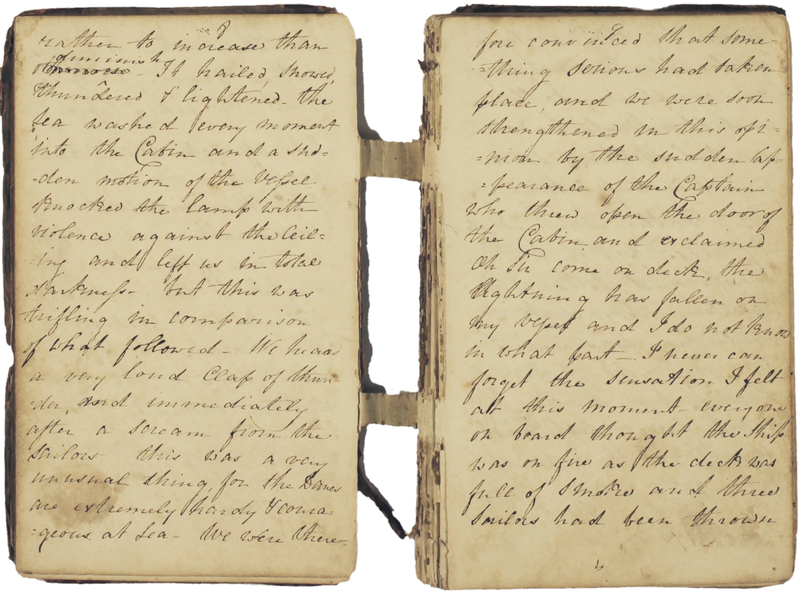 Clarissa’s diary will be on display in the ERO Searchroom throughout January 2015.